The Giants are charging down the mountains! They are loud and boisterous. They too want their share of the kingdoms under construction… And it’s going to cost you! 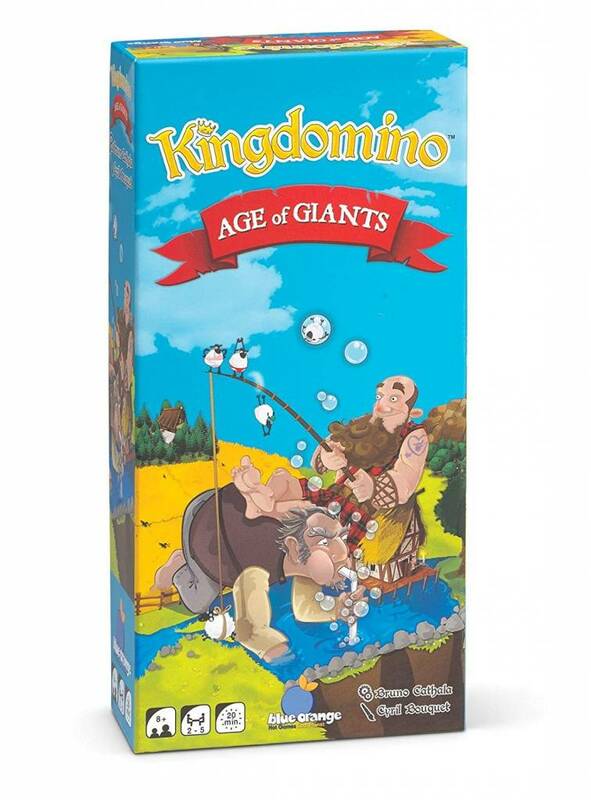 Age of Giants is an expansion for Kingdomino and Queendomino. To be played, one of these two games will be necessary. The expansion allows you to take either of these games to the next level of play. 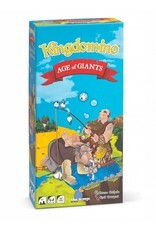 It adds new dominoes, more challenges, more player interaction, and allows for a fifth player to join in on the game. 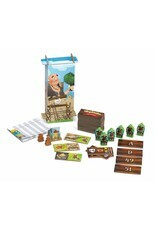 Choose a tile with a giant, then add a giant meeple to your kingdom to cover up any crown of your choosing. 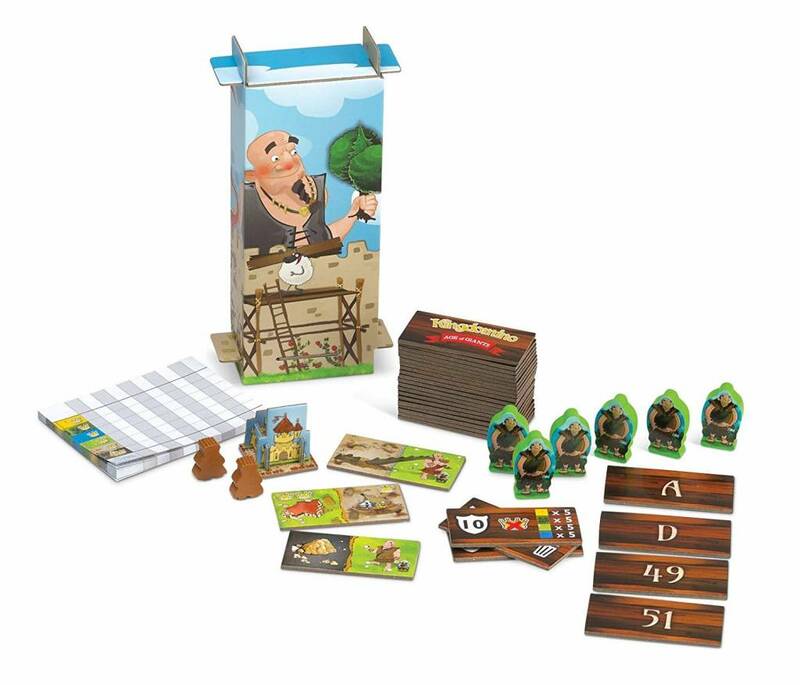 Choose a tile with a giant’s footsteps, then pass one giant meeple from your kingdom to another player, who then must cover up a crown in their own kingdom. 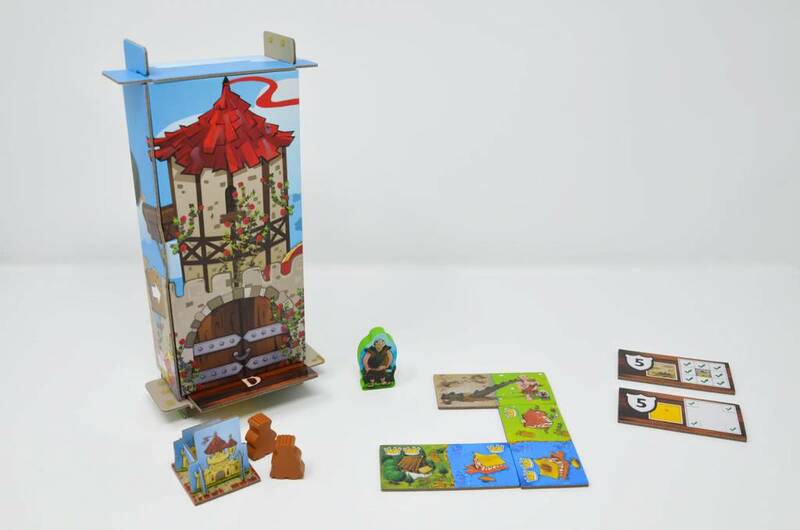 Additional ways to get points: Get five bonus points for each lake tile that surrounds your castle, and get 20 bonus points if your castle is located in one of the four corners of your kingdom. Warning: Choking Hazard. 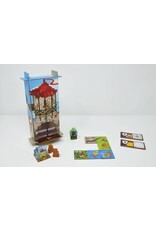 Small pieces are not suitable for children under three years of age.